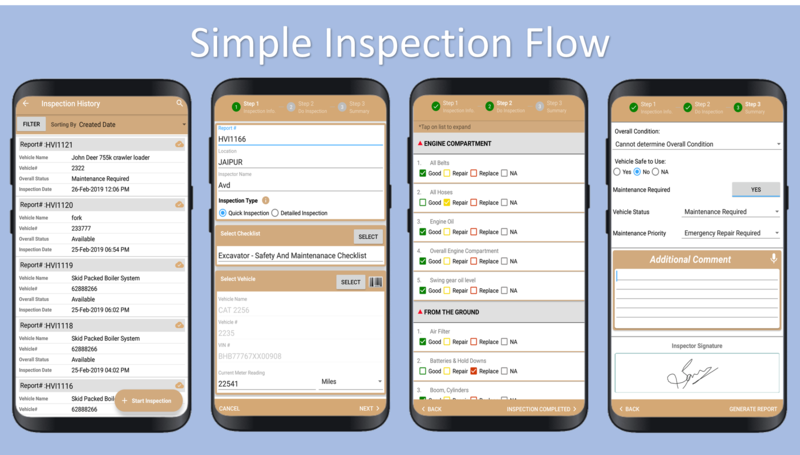 Heavy Vehicle Inspection software is an inspection app used to empower your workers in the field. Combined with the web platform, HVI provides visibility and insights to help raise safety and quality standards across an organization. Your team can collect consistent data, standardise operations, send reports, identify failed areas and get problems resolved. HVI digitizes mission-critical business processes up-to the Last Mile, with No programming required in 1/3rd of the time with 1/3rd of the resources. Conduct Inspections based on multiple checklist per equipment category, secure cloud systems to view all prior Inspections, Repair, Replace information and Notes. Complete life cycle records of your Equipment’s. 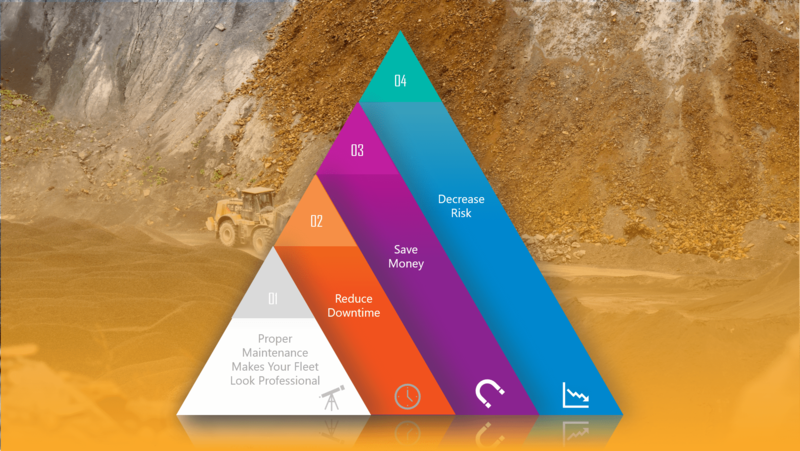 Operators could do safe operations with deployment of HVI solution as they do not work with any unsafe conditions and all Equipment information is available to back office in real-time increased Machine uptimes. Equipment operator/ Drivers are empowered with Mobile App to immediately report possible failures and submit routine inspection. This results in greater operational efficiency and boosted productivity throughout the company. Conduct inspections, submit photos, and add comments all from your mobile device. With less to enter and data automatically generate a well formed inspection report, you'll save loads of time over traditional paper processes without costly added hardware. Is your goal to reduce the manual labor of your drivers? Just like any job, your employees most likely have a lot on their plates. HVI fleet management solutions will help to enhance day to day experience thereby increasing driver efficiency. Schedule vehicles for inspections and alert drivers when inspections are due. Inspection history is accessible through Mobile App and Web Portal, ensuring drivers can produce necessary reports for law enforcement.